2008 April « Japan, Hockey, Baseball, etc. You can’t make this stuff up, who’d order ‘Free Tibet’ flags to be made in China? Must’ve been a subcontracting or something..
Police in southern China have discovered a factory manufacturing Free Tibet flags, media reports say. 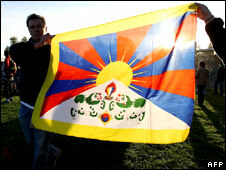 The factory in Guangdong had been completing overseas orders for the flag of the Tibetan government-in-exile. Workers said they thought they were just making colourful flags and did not realise their meaning. But then some of them saw TV images of protesters holding the emblem and they alerted the authorities, according to Hong Kong’s Ming Pao newspaper. The factory owner reportedly told police the emblems had been ordered from outside China, and he did not know that they stood for an independent Tibet. Workers who had grown suspicious checked the meaning of the flag by going online. Thousands of flags had already been packed for shipping. Police believe that some may already have been sent overseas, and could appear in Hong Kong during the Olympic torch relay there this week. The authorities have now stepped up the inspection of cars heading to the Shenzhen Special Economic Zone and onwards to Hong Kong. The Olympic torch is due to tour Hong Kong on Friday. It will then travel to a series of cities in mainland China before reaching Beijing for the start of the Olympic Games in August. Sidney Crosby, NHL’s newest superstar, is a well known diver which his opposing fans often points out, and it’s currently causing some commotions among New York Ranger fans as Crosby’s Pittsburgh Penguins are up 2-0 in the Eastern Conference Semifinals thanks to some controversial penalty calls involving Sid the Kid. I used to abhor the dive, or simulation as it’s known in football, but this great article on Slate changed my mind on the matter. It’s a rather valid form of self-protection for the smaller, more skilled players in these sports. 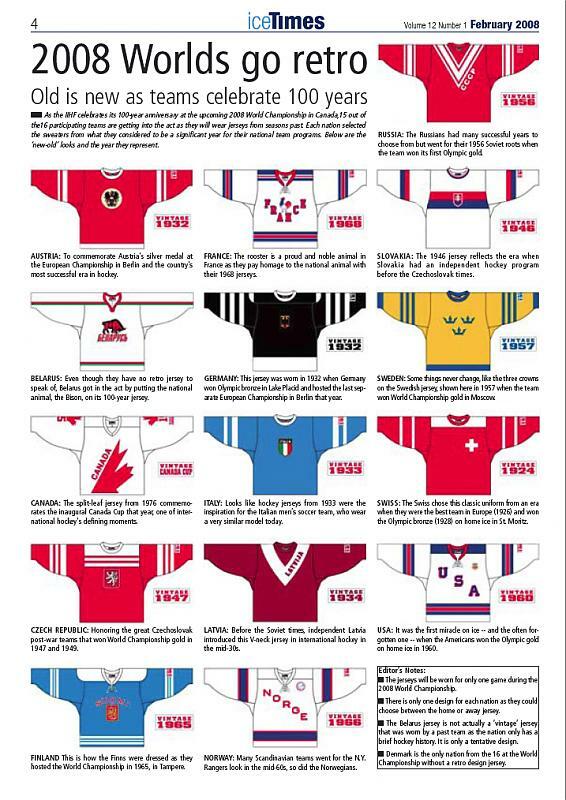 And who would you rather see on the ice or the pitch, the hulking untalented brutes, or the uberskilled superstars? Consider the classic matchup between a skilled dribbler and a big, tough defender. The attacker must use his quickness and wit to get by. The bigger man, though, can always resort to a “professional foul”—an intentional foul in which there is no attempt to play the ball. The defender will give away a free kick, but that will hurt only in certain parts of the field. So, what is the attacker to do? If he finds a flailing leg in his way, he can do nothing except barge right into it. And maybe writhe around on the ground for a bit, encouraging the referee to hand out a card, thus discouraging the brutish defender from trying such rough tactics in the future. Far from being a sign of corruption, diving is, in certain ways, a civilizing influence. Divers are usually quicker, smaller players. As athletes get bigger and stronger, the little guy gets nudged aside. If professional fouls and brute force reign supreme, creative play and joyful improvisation will suffer. There is nothing more depressing than a player who goes to the ground when he might have scored. Ronaldinho and Thierry Henry, arguably the world’s best players, will stay on their feet at all cost for the sake of a beautiful pass or a brilliant run at the goal. But the next time you see an artful dribbler derailed by a clumsy oaf, take a minute to think about whose side you’re on. Doesn’t the dribbler deserve a somersault or two to remind the world that the only way to stop him is through violent and graceless means?